Arthur W. Einstein, Jr. has been a friend and mentor since I was eight years old. He is a fellow American Flyer motorcyclist and over the decades we have ridden many roads together. Arthur is a humble guy who might never admit that he is one of the greatest minds in the field of advertising. Over the years, he and his New York City-based advertising agencies were responsible for some of the most clever, captivating, and successful advertising campaigns of the modern era. His clients included IBM, Tiffany & Co., and The New York Stock Exchange, among many others. His son Nicholas is one of my closest friends and together we rode motorcycles across America in 2004. That epic ride was chronicled right here on Turtle Garage—you can read that story here. 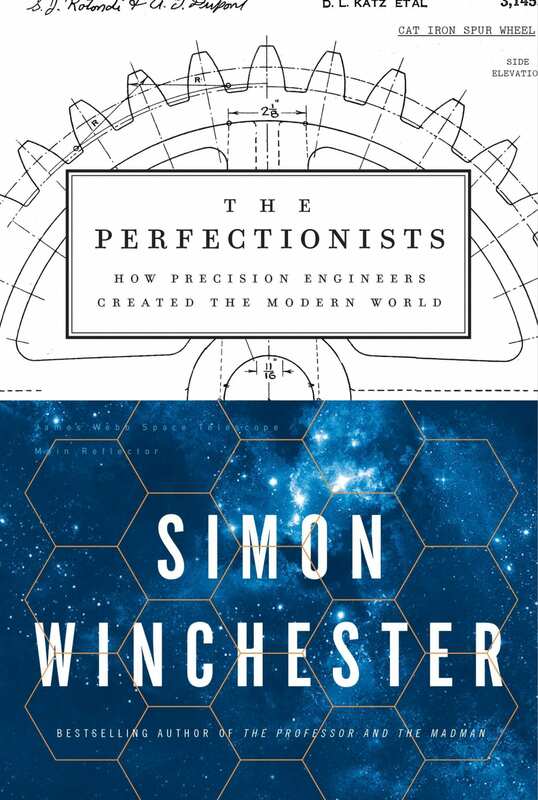 In this post Arthur provides Turtle Garage readers with a concise book review of Simon Winchester’s must read, The Perfectionists: How precision engineers created the modern world. Book Review by Arthur W. Einstein, Jr.
Winchester, whose father was a precision engineer, writes quietly, and with real enthusiasm, about the relentless and continuing perfection of measurement and precision. Beginning with the Industrial Revolution, when tolerances of 1/10th of an inch were sufficient to turn the steam engine into a practical power source, we eventually find ourselves at the chip fabrication labs of today where tolerances are so incredibly fine that 100 million transistors can now be squeezed into one square millimeter of chip space. The author browses through factories around the world, filling his notebook with tales of precision measurement and the perfection it begets. For the less technical among us he manages to translate incredible feats of engineering into language we can understand. The transistor, for example, invented in 1947 was, at birth, about the size of a baby’s hand. Today, only 71 years later, transistors are smaller than the wavelength of light and are therefore invisible to the naked eye. And in case you’re wondering, there are more than 2 billion transistors in the average smart phone. How all this has happened is what The Perfectionists is all about. 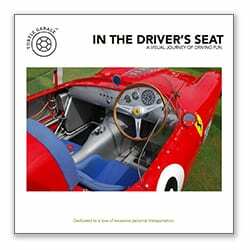 Though, as noted, Winchester is not a an automotive writer, yet he compares the work of the two Henry’s (Royce and Ford). It got me thinking about how similar the shape of the Silver Ghost and Model T radiators are, and the similarities didn’t end there. The contrast of Henry Royce’s passion for building a flawless car for the carriage trade, with Henry Ford’s passion for perfecting the assembly line in order to churn out cars for the masses, made these two inspired mechanics seem like brothers at heart. 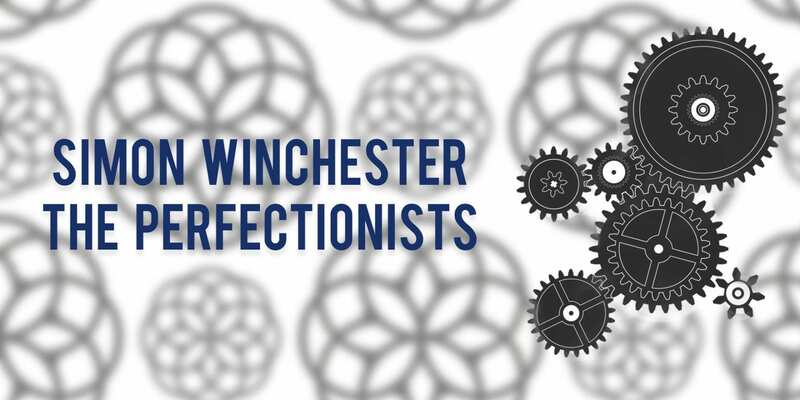 As he stalks the perfectionists, Winchester sounds more than a little like Sherlock Holmes in hot pursuit. Why did the Hubble telescope first send back out-of-focus images, and how was it repaired? How did Japanese reverence for craftsmanship help Seiko build timepieces Swiss watchmakers envy? How did Sputnik, launched in 1959, inspire the first global positioning system? How do the turbine blades in a jet engine survive when they routinely operate where temperatures exceed the melting point of the alloy from which they are made? Simon Winchester answers these questions and many more. Note: I found the Audible edition, narrated by the author, so engaging that I bought a hardcover copy. The hardcover (Harper) is poorly produced on second-class paper in a third rate binding. However it does include a helpful index and a glossary that rangers from “accuracy” to “wabi-sabi.” Take your pick. For more than 30 years my work has been advertising and marketing communications. Most of those years were spent at Lord Geller Federico Einstein, an advertising agency in New York City. I was one of four founding partners and worked there as a writer, creative director and agency president. From 1988 to 1991 was a principal in at Lord Einstein O’Neill and Partners which was eventually absorbed into WPP. LGFE did memorable and productive work for a wide range of clients including IBM, The Wall Street Journal, Tiffany & Co., Steinway & Sons, The New Yorker magazine, and The New York Stock Exchange. Since 1991 I have been an advisor, coach, consultant, and writer for companies of all sizes from multi-nationals to start-ups, both B2B and B2C. I’ve helped clients conduct searches for advertising agency, PR, and media services – evaluate marketing programs, communications strategies, brand and positioning issues, client-agency relationships and creative projects. Clients have included companies such as: IBM, Knowledge Adventure, Compaq, idealab!, The New York Stock Exchange, The History Factory, NetGravity, The American Funds, Scholastic, Barnes & Noble, Book-of-the-Month Club, and many others. Beyond the writing and consulting work I am also currently a VP of Loyalty Builders LLC, a marketing services company specializing in customer focused predictive analytics and direct marketing. 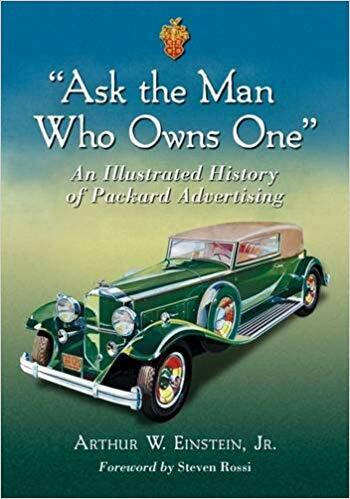 Arthur’s book on Packard and their revolutionary advertising.